Known as ‘The Islamic City’, Kota Bharu offers a fine architectural mix of dignified mosques and old royal buildings. 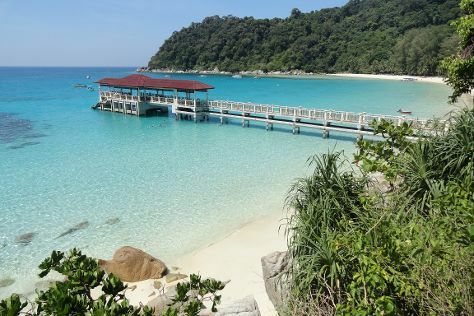 Step out of the city life by going to Pantai Cahaya Bulan and Perhentian Islands. When in Kota Bharu, make a side trip to see Scuba & Snorkeling in Kuala Besut, approximately 1:20 hours away. There's still lots to do: see the interesting displays at Istana Jahar and browse the eclectic array of goods at Pasar Besar Siti Khadijah. To see other places to visit, reviews, and other tourist information, use the Kota Bharu vacation trip planner. The Route module shows you all the different ways you can get to Kota Bharu. In November, daytime highs in Kota Bharu are 34°C, while nighttime lows are 28°C. Wrap up your sightseeing on the 15th (Tue) to allow time to drive back home.